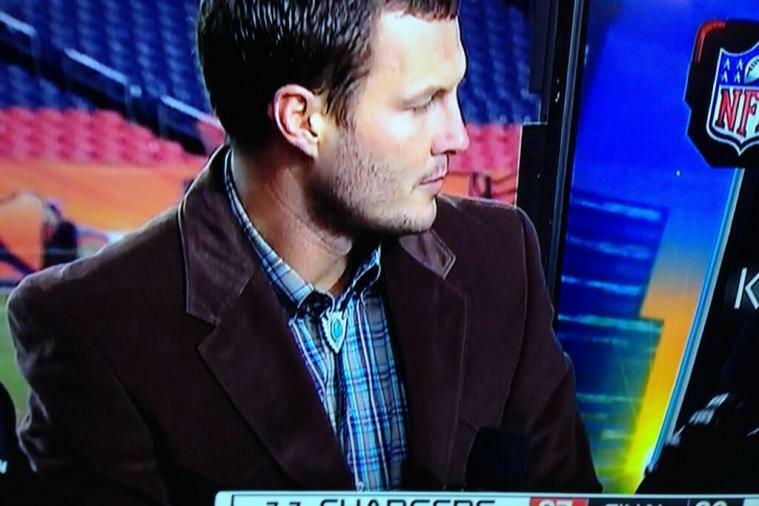 Post-game presser and on the panel for NFL Network P-Rivers rocks the bolo tie. Bold move, made complete by some cowboy boots and a plaid shirt, but this is the mark of a great QB. If you look up “Gun Slinger” in the dictionary you will undoubtedly see a picture of Philip Rivers. He is going to have a Brett Favre swagger about him by the time he retires. GET THIS GUY IN A WRANGLER COMMERCIAL! 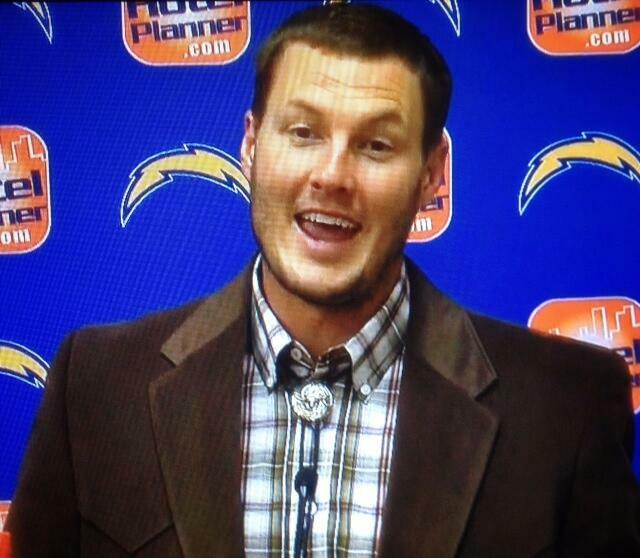 Posted on December 13, 2013, in Average Blog Posts and tagged bolo tie, cowboy boots, philip rivers. Bookmark the permalink. Leave a comment.